Amaretto is a popular almond flavored liqueur that is used in a variety of cocktails and mixed drinks. It is commonly paired with a coffee liqueur or used as a soothing liqueur to tame the bite of many shooters. Amaretto should be considered an essential spirit to stock in the bar. Amaretto is a very old style of liqueur and there are a couple of different (though related) versions of the story of its creation. As is often the case, each of the stories come from a popular brand that continues to produce amaretto today. 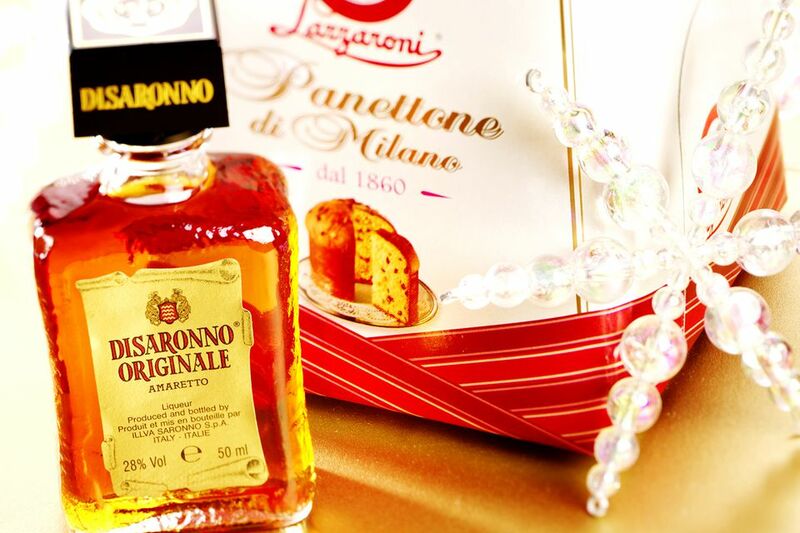 The first claim is that the first amaretto was created by the Lazaronni family of Saronno, Italy in 1851. The family had long been known for creating amaretto cookies and found that there was also a market for a sweet liqueur that took on the popular almond flavor. The second story begins in 1525 with the Renaissance painter, Bernardino Luini, who was commissioned to create a painting of the Madonna. He found his model in a young widow who was an innkeeper and possibly Luini's lover. The story continues that this fair woman gave the painter a gift of apricot kernels soaked in brandy. The recipe for this delicious liqueur was passed down through generations and ended up in the Reina family who, coincidentally, worked for the Lazaronnis in Saronno. Supposedly, this is the same recipe used today in Disaronno Originale. This is one of the most popular brands of premium amaretto and its label remains clearly marked with the date 1525. Amazingly, amaretto did not make it to the shores of the United States until the 1960s and it did not take long for the American drinker to fall in love with its delicious flavor. Amaretto is a popular cocktail ingredient and it is used quite often to create delicious drinks that have a sweeter profile. It also pairs with a great variety of flavors and it may surprise you the big difference that a small shot of amaretto can make in a cocktail. Amaretto can be served on its own over ice. Another popular and easy way to serve it is to simply pour a shot of amaretto over ice in a tall glass and top it with cola. You can also make homemade amaretto or an almond syrup as a non-alcoholic alternative. The name amaretto is derived from the word "amaro". Amaro translates from Italian to mean "bitter" and it is often used to describe bitter aperitifs and digestifs like Amaro Averna. Amaretto is certainly not a bitter in this sense and the suffix "etto" adds "little" to the definition, so "amaretto" is often interpreted as "little bitter". "Little bitter" is an appropriate way to describe many amarettos because ​its profile is a sweetened almond flavor with hints of bitter notes that vary from one recipe to another. Though amaretto is thought of as an amaretto-flavored liqueur, it is often made with apricot pits. Some recipes still use almond and others use a combination of the two. It can vary from brand to brand, but most amaretto​ is bottled at 21-28% alcohol/volume (42-56 proof).